Spring 2019 Office Hours: Friday, 8 am.--9 am. ; 11 am. -12 pm., and 2-4 pm. Professor Helen Southworth was born and raised in Hitchin, Hertfordshire, just outside of London, UK. She did her undergraduate degree in French at Westfield College, University of London, before moving, somewhat impulsively, to the U.S. to study Comparative Literature at the University of Southern California in Los Angeles. She completed her PhD at USC under the supervision of Professor Peggy Kamuf. Professor Southworth was a News Producer for the radio talk show "Which Way L.A.?" (now "To the Point") on the Southern California National Public Radio affiliate KCRW-FM prior to joining the Clark Honors College in 2001. Professor Southworth's research focuses on the modernist period, and she has published books and articles on a range of writers including Virginia Woolf, Colette, John Hampson, Ford Madox Ford, George Borrow, and Douglas Goldring. Recent areas of focus include modernist publishing, modernist periodical culture, book arts, and life writing - work which has led to a digital humanities collaboration with colleagues in the United States, Canada and the United Kingdom - the Modernist Archives Publishing Project (MAPP). The project was recently awarded a prestigious Social Science and Humanities Research Council of Canada Insight Grant of $180,000 (2018-2023). A book documenting the building of MAPP appeared in the Palgrave New Directions in Book History series under the title Scholarly Adventures in Digital Humanities: Building the Modernist Archives Publishing Project (2017). 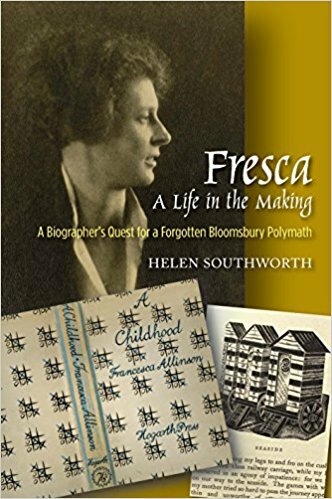 Southworth’s biography of interwar British writer and musician Francesca Allinson, Fresca: A Life in the Making. A Biographer’s Quest for a Forgotten Bloomsbury Polymath was published by Sussex Academic Press in 2017. For a complete publication list see Professor Southworth's Curriculum Vitae. 2017, Fresca: A Life in the Making. A Biographer’s Quest for a Forgotten Bloomsbury Polymath, Sussex Academic Press. 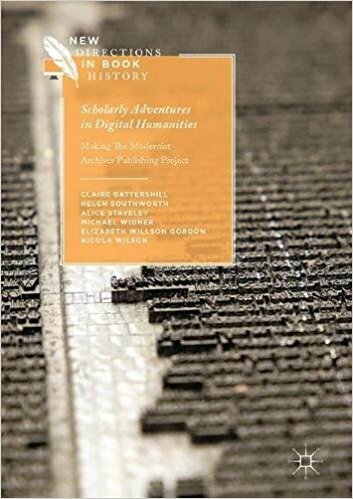 2017, Scholarly Adventures in Digital Humanities: Making the Modernist Archives Publishing Project, Palgrave. 2010, Leonard and Virginia Woolf, The Hogarth Press and the Networks of Modernism (edited by Helen Southworth), Edinburgh University Press. 2006, Woolf and the Art of Exploration: Selected Proceedings from the Fifteenth Annual Conference on Virginia Woolf (edited by Helen Southworth and Elisa K. Sparks), Clemson University Press. 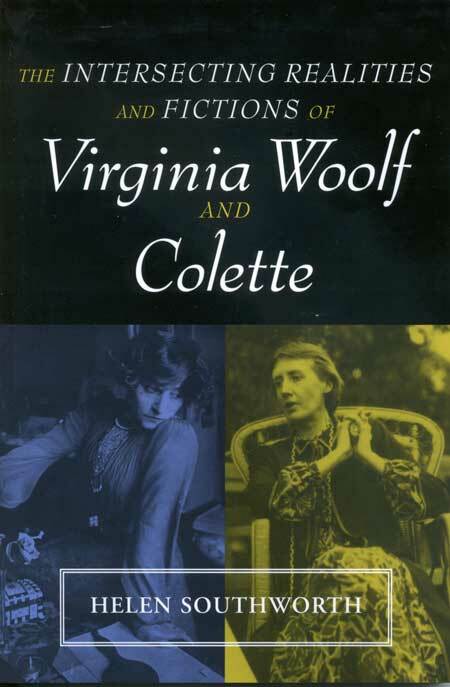 2004, The Intersecting Realities and Fictions of Virginia Woolf and Colette, Ohio State University Press. 2018, “Virginia Woolf.” Dictionnaire Colette. Eds. Guy Ducrey et Jacques Dupont. Paris: Classiques Garnier. 2018, “Modernism, Digital Humanities and Collaboration.” Modernism/modernity: Print Plus. Battershill, Claire, Helen Southworth, Elizabeth Wilson Gordon and Alice Staveley. 2016, "Elizabeth Senior: A Life in Pictures," Women: A Cultural Review. 2016, "The Hogarth Press and a Global Print Culture" (Helen Southworth and Claire Battershill), Blackwell Companion to Virginia Woolf (edited by Wiley Blackwell and Jessica Berman). 2014, "The Bloomsbury Group and the Book Arts," Cambridge Companion to the Bloomsbury Group (edited by Victoria Rosner), Cambridge UP. 2014, "The Hogarth Press, Digital Humanities and Collaboration: Introducing the Modernist Archives Publishing Project (MAPP)" (Helen Southworth, N. Wilson, E. Willson Gordon, A. Staveley and C. Battershill), Virginia Woolf and the Common(wealth) Reader (edited by Helen Wussow and Mary Ann Gillies), Clemson University Digital Press. 2012, "Virginia Woolf’s Orlando Preface, the Modernist Writer and Networks of Social, Cultural and Financial Capital," Woolf Studies Annual. 2012, "'Perfect Strangers'? : Francesca Allinson and Virginia Woolf," Virginia Woolf Bulletin. 2016 - 2018: Center for Spatial and Textual Analysis (CESTA) and the Roberta Bowman Denning Initiative in Digital Humanities at Stanford, grants for MAPP. I am looking for students interested in gaining experience on a digital humanities project, the Modernist Archives Publishing Project (MAPP). In the early twentieth century, publishing houses, big and small, proliferated. Despite the importance of these institutions and their interrelations to an understanding of modernism, scholars have only recently begun to move beyond isolated studies of individual houses to examine translateral networks of authors, artists, editors, press workers, and texts across different publishing venues. Prompted by the challenges of amalgamating large amounts of material from a range of diverse archives, MAPP acts as an aggregated collection of twentieth-century publishing histories in the form of an interactive digital resource.